I have been looking for a while for a GOOD VALUE FOR MONEY ultrabook. My main need is for a lightweight laptop as my current 15.6 inch HP is probably between 2-2.5kg. This makes it a pain to carry around. I have been considering the dell xps13, Asus zenbooks and Lenovo X1 carbons. Fhd screen - 1920 X 1080, 13.3, Matte. Other specs are visible on the JL website. Also comes with 3 yr John Lewis warranty. Also would welcome any other alternatives for a similar price. Looking to order today. No 3 year warranty though. Both great finds, have they been posted as deals yet? link to the page? or has it gone? Anybody else purchased from box.co.uk? Have you got it already? Initial thoughts? Looks like a good deal. You could post it on here. Showing for me as £829.00 so a lot more than £51 more. 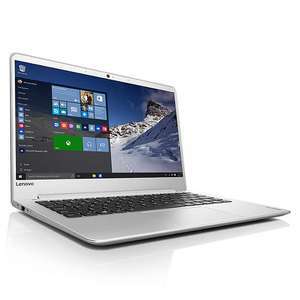 A little bit of googling and I found the Lenovo Plus on the link …A little bit of googling and I found the Lenovo Plus on the link here......... https://www.box.co.uk/80W30036UK-Lenovo-Ideapad-710S-Plus_2103909.htmlGood find FrozenFire. What is te battery life on the Lenovo like? I have the 7000 and have been thinking of replacing it - bought it when t first came out and when it has a plastic body. Think it has metal now. The downsides to the Dell 7000 for me have been a tendency to over-heat and the battery life was lousey - only about 4 hours when new 2 years ago and that it is now just 2 hours. Am about to buy a new battery for it. Btw, I got the Dell in a Paypal flash deal one November day for £649 if anyone was interested. Eek. I would go with the JL offer. Mm this seems a good deal. I would have had this about 2 months ago but instead I went for the macbook air from very for 730 I think it was. Mm should I be regretting buying that instead? I bought the Inspiron 13 7000 2in1 for £764.15 yesterday and Quidco has tracked at £59.93 so possibly only £704.22. I also bought Plus one from box.c.uk on Friday. It has been posted before here, but surprisingly no Heat! Went for it and ordered from JL. Not sure how much the i7 would offer me personally more than the i5. Bigger ssd would have been nice but took the JL guarantee instead.